When you live in a place like that, it seems reasonable, necessary even, to have a dog. So after years of begging, my parents finally relented. 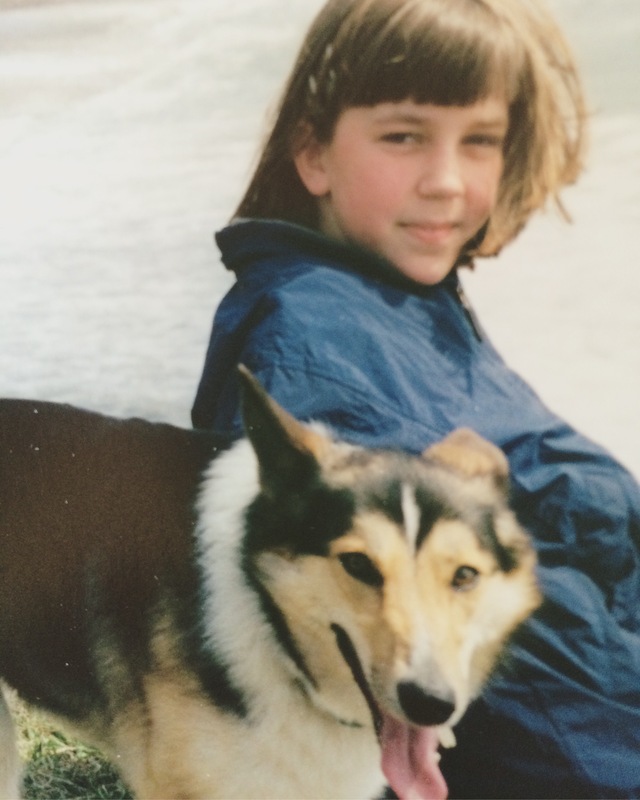 In 1997, when I was ten years-old, I got my first dog. We used to walk our beautiful, rescued Collie/Shepard mix on the web of footpaths that traversed the woods behind our house. I quickly learned the joys of having a best friend with four legs. I recently revisited those trails, and discovered that, like me, they have grown up. What used to be a narrow meandering footpath is now a fully developed and efficient gravel trailway. The trail, known as the Old Lawrencetown Road Trail, has been developed by the Lawrencetown Cole Harbour Trail Association into a “connector trail” between the Sunset Acres subdivision in Cole Harbour, and the Ross Road area in Lawrencetown (you can see the trail on a map here). To access the trail, we parked our car at the end of a dead-end court in Sunset Acres, fittingly called “Old Lawrencetown Road”. The trail is a straight-line trail, so it’s not hard to navigate. Soon after starting our walk, we reached another access point to the trail, at the end of Ritcey Crescent. This seems to be one of the main access points, with most of the trail’s signage being located here. We made our way almost to the end, before turning around because it was starting to get dark. This took about twenty minutes each way. I would estimate that the entire trail is about two kilometres long, which is a nice distance for an evening stroll. I remember hopping rocks to cross the stream where this bridge has now been built… it’s kind of metaphorical, isn’t it?! I have to say that it feels great to be back to the blog, friends. When life got too hectic in December, I was forced to step back from some of the “extras”. I’m finally feeling like I’m back on track with work, health, finances, and of course, dogventures. I might not get back to once-a-week posts, but I’m not ready to give up on this thing yet! Here’s to a year filled with lots of exploring with your main pooch (and maybe some humans, too).